Getting the best supplies for your landscaping business doesn’t need to cost you a fortune. If you’re looking for a dependable mulch manufacturer and supplier, turn to National Mulch in Dayton, OH. We offer dyed and non-dyed mulch at wholesale prices. Whether you need a handful or a truckload of mulch for your company, you can count on us to provide. Our dyed mulch is available in black and brown. Need Mulch? We Have You Covered! When it comes to quality landscape supplies, our company is always ready to help. We can deliver wholesale supplies to large landscaping companies for your added convenience. We accommodate bulk orders of up to 70-yard truckloads of mulch. For smaller landscaping businesses, you can pick up your needed supplies at our store. 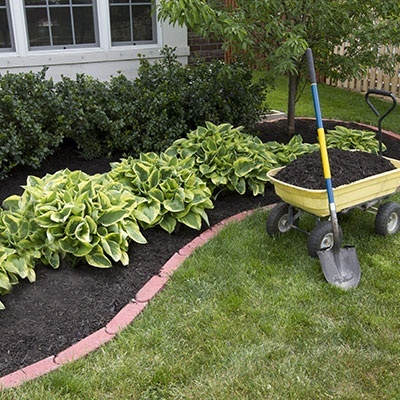 Improve the look and quality of your landscape by applying mulch. For top-shelf dyed and non-dyed mulch, trust none other than National Mulch. Our mulch manufacturing company caters to landscapers and homeowners who need quality supplies for their businesses or homes. To place your orders in advance, call or email our shop today. We look forward to doing business with you soon.